Following on from issue 22 which covered Mass Effect 1 and 2, Josh, Brian, Karl and Ryan tackle the divisive final chapter of this space opera epic, Mass Effect 3. Did the panel feel like their choices throughout the series were respected? Did the characters that these four gentlemen fell in love with, get the closure they felt was deserved? …And of course, how did they feel about that ending? Error on the Stitcher page for this one chaps. Seems to play the HL2 Ep1 & 2 episode instead of this one. A few people are having the same issue but the problem is with Stitcher rather than us. Jay is looking into getting it resolved however. One thing that doesn’t seem to get talked about much is who memorable and unique the planets and locales were in this one. I’ve played the first game four times and remember the bland locations out of sheer repetition. I’ve played the second three times and am struggling to remember a place outside of the Geth home and the final attempt on the Collectors. I’ve still only played 3 once, but remember so many places as if I played them yesterday. Escaping Vancouver. The base of the tower on Tuchanga, and the abandoned Quarian planet. The moon over the Turian homeworld. Mars. Even London. 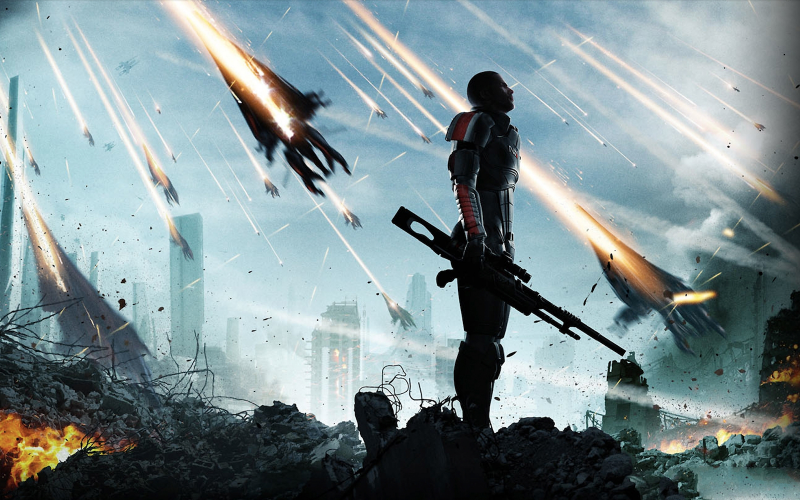 Mass Effect 3 was the best of the bunch in establishing a place and making them places worth visiting. I can only speak for myself but I thoroughly enjoyed a lot of the locations in the first two games, in a generic ‘beaming down to planet X’ sort of way. I do get where you’re coming from though and glad you had something cool like that to take away from ME3.